Welcome, as always, dear readers. This is a special day, so we have added an extra entry this week. 77 years ago today, on 6 September, 1939, 5 days after the beginning of World War 2, Arthur Rackham (1867-1939) died. which convinced him to put all of his energy into book illustrations, his focus from then until his death, in 1939.
and The Wind in the Willows (published posthumously in 1940). 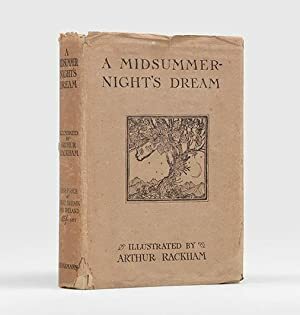 And his methods included the absolutely striking Cinderella (1919) and The Sleeping Beauty (1920), in which the illustrations are done almost completely in silhouette, as if the figures and scenes were designed for shadow plays. Throughout, the themes of wonder and the fantastic/grotesque interested him the most and, for us, a major feature is his trees, of many types, but often haunted things with eyes and mouths.